Image 4436594: Watercolor portrait of a woman. 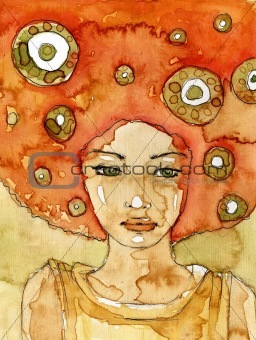 Image Description: Watercolor portrait of a woman. M 10.6 x 14.1 cm 4.2 x 5.6"